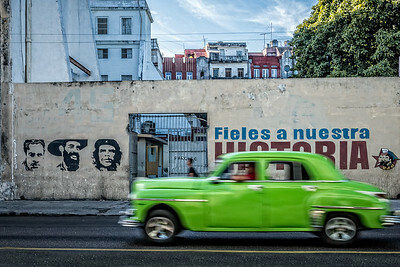 Cuba, Havana. 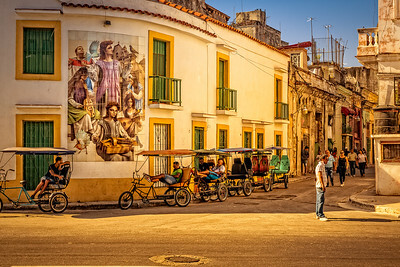 a group of pedicabs wait under a street mural on a busy corner in Havana. Cuba, Havana. Man playing saxaphone behind the Arts & Crafts Market. Cuba, Havana. Laundry hangs on the balcony of a residential building. Cuba, Havana. The domes of Our Lady of Kazan Orthodox Cathedral gleam in the sunlight. 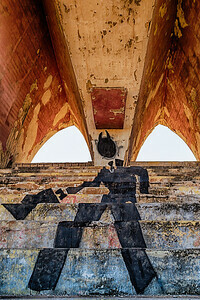 Cuba, Havana. 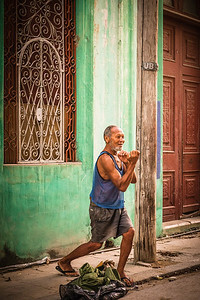 An old man shows us his boxing prowess along a residential street in Old Havana. 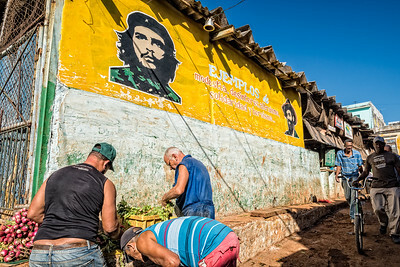 Cuba, Havana. 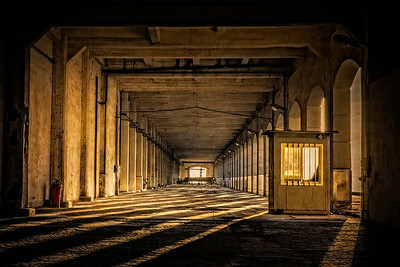 The early morning light casts shadows in a warehouse along the Malecon. 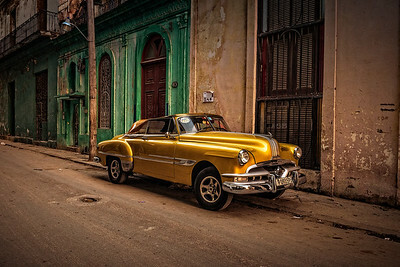 Cuba, Havana. 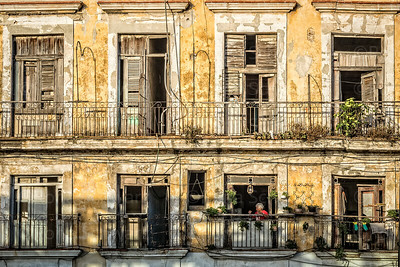 A woman in a red sweater can be seen in a window of a dilapidated building along the Malecon. 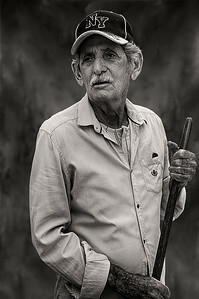 Cuba, Havana. Men having a discussion on the pier are silhouetted in the early morning sunrise as an oceanliner passes by in the background. Cuba, Havana. Group of children walking with balls and sports equipment. Cuba, Havana. 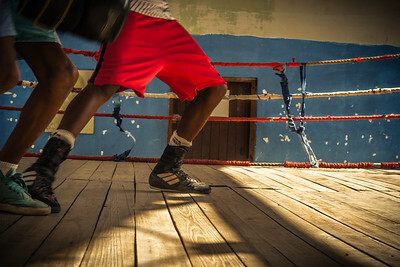 Rafael Trejo Boxing gym where boys learn the skills of boxing. 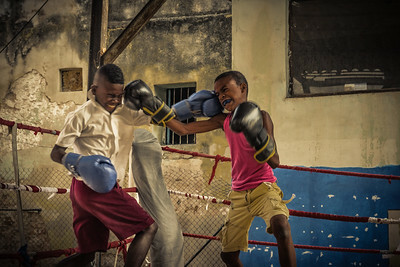 Cuba is a giant in amateur boxing and many gyms around the country train Olympic athletes. Cuba, Havana. 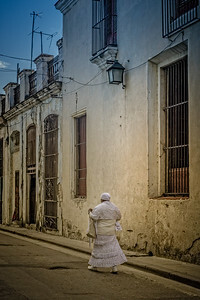 A Priestess of Santeria wearing all white is waling along the street. Cuba, Havana. A woman in a red top carrying shopping bags is seen passing a green painted building. Cuba, Havana. Classic old cars being driven on street in downtown Havana. Cuba, Havana. Man sweeping the street in Chinatown. Cuba, Havana. 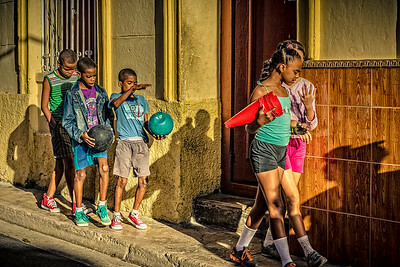 Middle-school children walking along a street in central Havana. 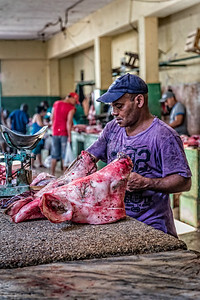 Cuba, Havana, A butcher with hands in a pig's head in a meat market. 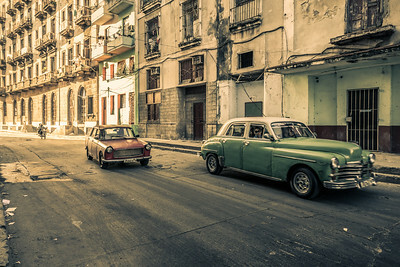 Cuba, Havana. 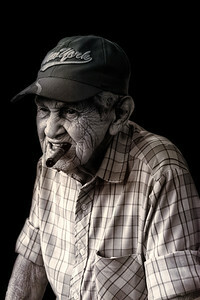 Portrait of an old man wearing a New York cap with a cigar in his mouth.